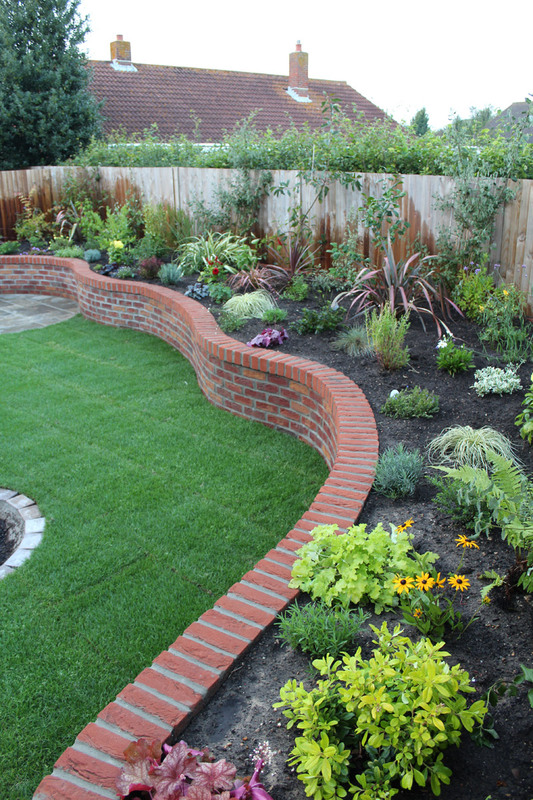 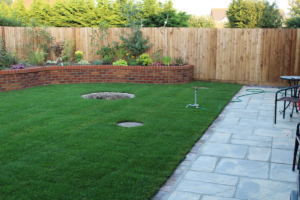 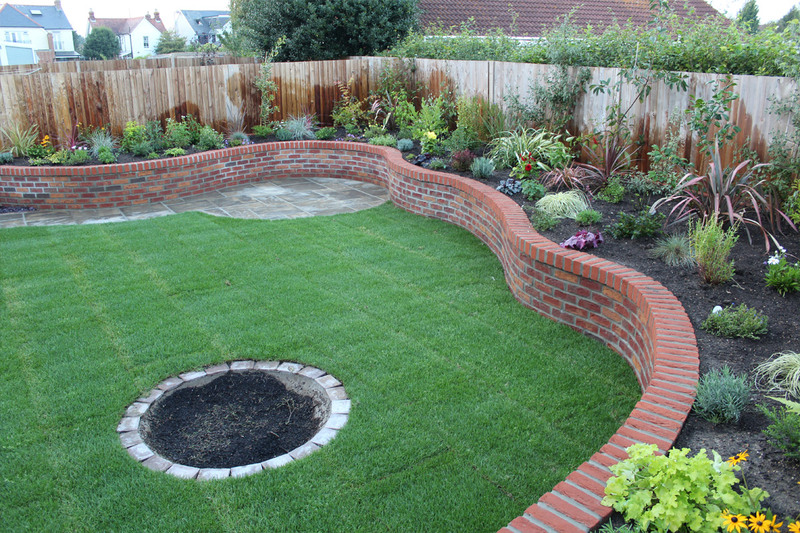 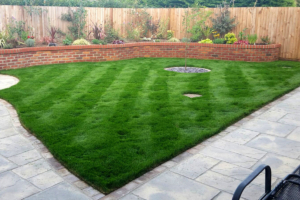 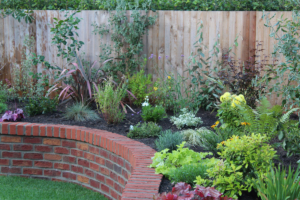 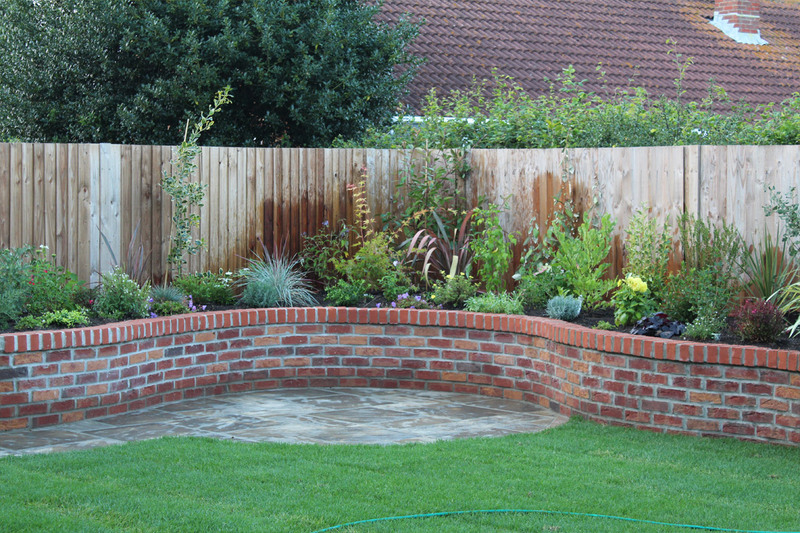 Extensive garden project with multiple features; fully landscaped. 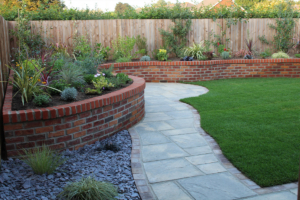 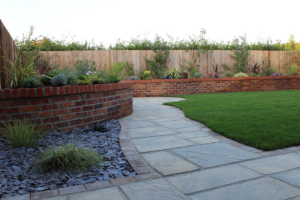 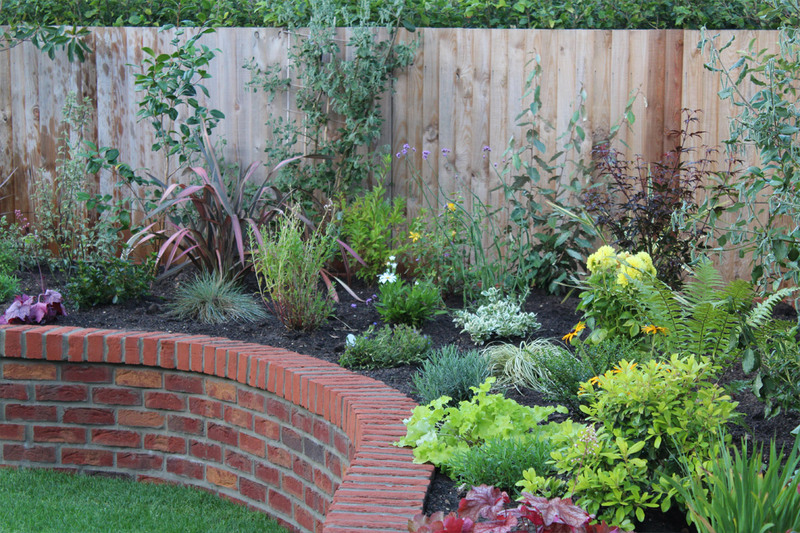 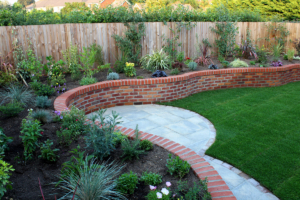 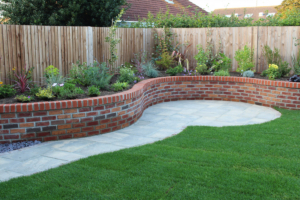 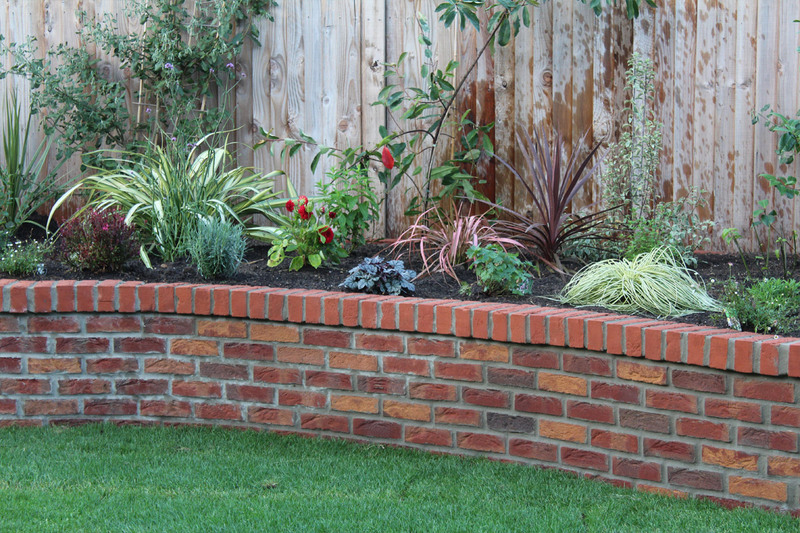 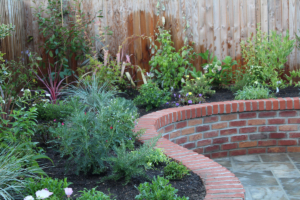 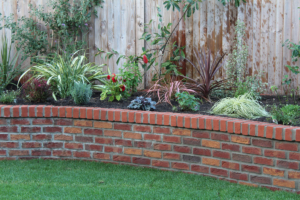 A grey stone path follows the curves of an attractive brick wall which comprises raised flower beds, filled with a selection of plants. The remainder of the garden is given to lawn with a central stone circle for a tree.